Big congratulations to Michael Lowe, who has been announced as the winner of this year’s Ian Stoutzker Prize. The prize is awarded annually to the College’s most outstanding student performer in music. 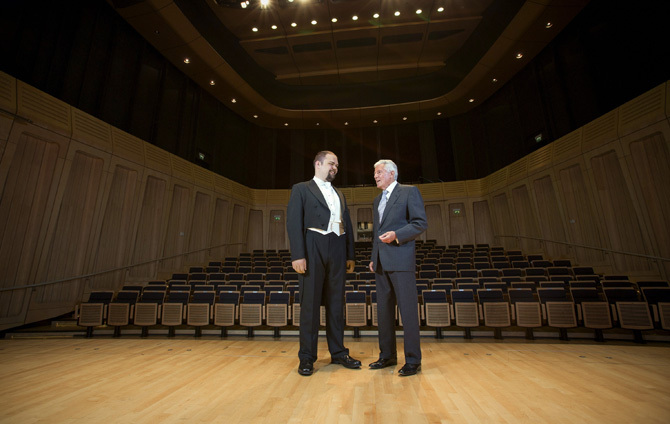 Baritone Michael (pictured above with Ian Stoutzker) is a third year vocal student. 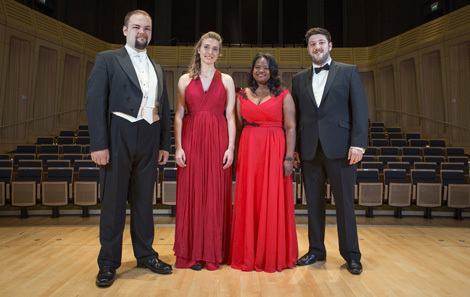 He beat off competition from Chanae Curtis (soprano), Emyr Wyn Jones (bass baritone), Charlotte MacClure (violin). 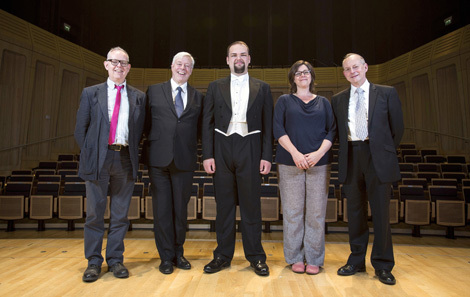 The final took place in the College’s Dora Stoutzker Hall, in front of a panel of adjudicators: Lucy Gould (violinist in The Gould Piano Trio), Artistic Director of Cardiff Singer of the World David Jackson, operatic baritone and director Donald Maxwell, and international cornett player Jeremy West. Previous winners of the Stoutzker Prize include Trystan Llyr Griffiths, Tianhong Yang and Reisha Adams.